I went to the small branch of Tesco near the train station to pick up a few essentials because of the snow. I refuse to use the phrase panic buy, that could be used for the man behind me who had 6 litres of mineral water and tons of tins. I was just after a loaf of bread and a bottle of milk, and apparently some doughnuts. You’ve got to do what you’ve got to do when the snow comes. 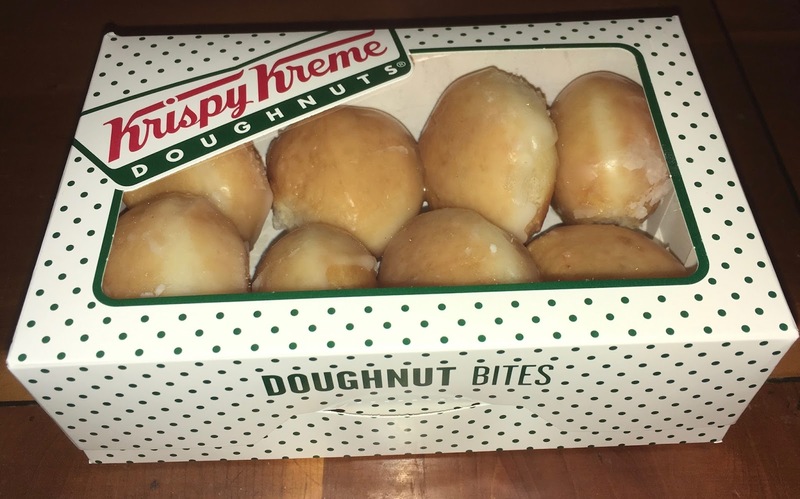 Ok, these were an impulsive buy because the Krispy Kreme doughnut stand was facing the entrance when I walked in, and I spotted the word “new”. When I gave one a try I couldn’t quite believe just how good they were. 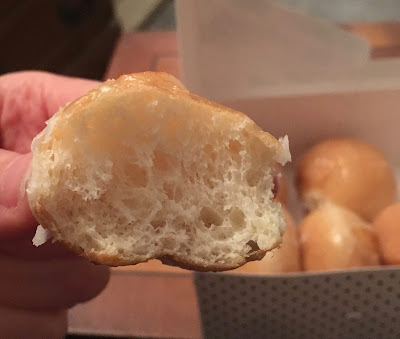 The are light and fluffy, wonderfully sugary and the gentle flavour of the fried dough is delicate and heavenly. They take two or three bites to eat, and just melt in the mouth. 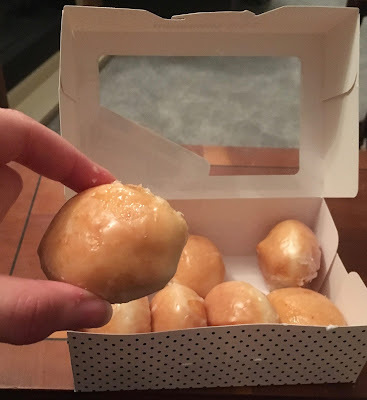 They are a fantastic sweet treats of delicious doughnut heaven, and I’m glad they have given me the opportunity to revisit the original glazed doughnut. I think there new sharing format works really well. I wish I’d bought another box for the freezer, just incase we do get snowed in!